Fort Rock basin, about 60 miles south of Bend, Oregon, flowed hot with lava about 13,000 years ago. The remnants of the seen in the 45 square mile Devils Garden area. The landscape is dotted with splatter cones, odd looking buttes, calderas, and caves. This area has some amazing features that most people do not know about including Crack In the Ground and Fort Rock itself. The main vent for the Devils Garden Basalt Flows formed to its south and became Derrick Cave (named after a local rancher). The site had another use 50 years ago as a nuclear fallout shelter stocked with food & water. 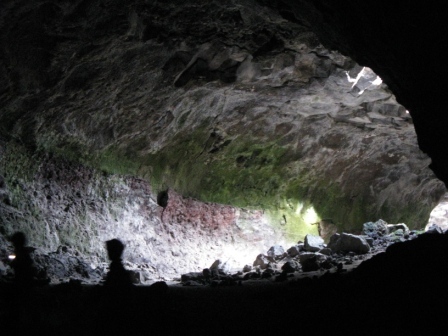 The lava tube is about a 1/4 mile long with a sandy floor, skylights, & different levels. 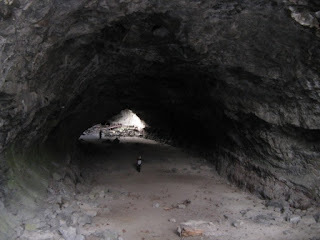 Drake, Shane, and I headed out and reached the cave in about an hour and half from Bend. 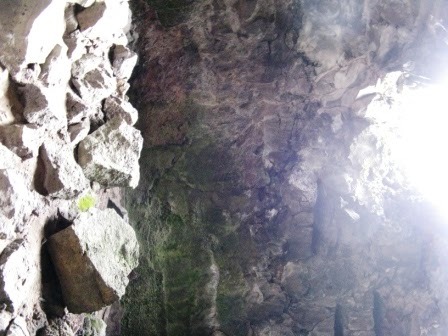 The ceiling in some areas must be about 40 feet high. 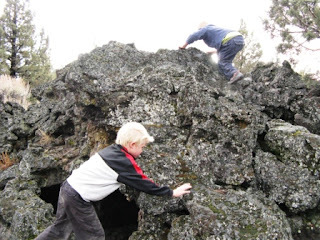 The area is accessible via a bumpy dirt road that is a blast for the kids, but you'll need to stay focused and keep your sense of direction wits about you. Heading east from Bend, take Highway 20 to Forest Road 23 and turn right. You'll find this road after you climb the Horse Butte grade and come down the hill from the Dry River Canyon. From there you want to keep on making choices that keep you heading south. You leave 23 when it splits off to the right and you stay straight on 2325. Be patient, this road is dicey and will bump you around under and across the power line corridor for a long time. You will eventually see some distinct splatter cones along the road. There is a parking lot just below them set amongst a gathering of large Ponderosa pines (a tree you haven't seen a ton of in the last hour). 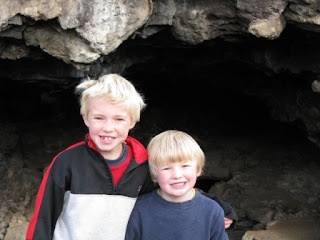 Thanks for this post, it helped me find the cave. Great experience.